River Country Co-op is a company with sales at $90 million serving the Chippewa Valley trade area. We have approximately 300 employees at 16 locations. River Country Co-op has been in business since 1948 and continues to grow. River Country Co-op’s board of directors is a team of people who are working to better the company for the interest of the patrons. As patrons themselves, they understand the concerns and questions of the consumers. If you have any questions, contact information for each board member is listed below. At River Country Co-op, we provide a broad spectrum of products and services. A qualified team of managers work together to create a great experience for you! Experience: Bruce grew up on a dairy and cash crop farm near Cashton, WI. He graduated from UW-Platteville with a degree in Agricultural Economics in 1988, and in 1991 became the General Manager/CEO of a local Co-op. 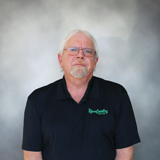 In 1998, Bruce relocated to Chippewa Falls to become the General Manager/CEO of River Country Co-op. He currently carries various board positions on several boards and is a WIAA official for basketball and football. Bruce resides in Chippewa Falls with his wife and three children. Experience: Marty Goss has lived in Eau Claire his entire life. He graduated from UW-Eau Claire with Bachelor’s degrees in Accounting and Mathematics and has worked in public accounting for the last twenty-two years. In his accounting experience Marty has performed audits, prepared tax returns, managed a tax department, prepared business valuations and consulted with clients on all aspects of their business. Experience: Jeff graduated from Ridgewater College in Willmar, MN with a degree in Ag Business and Soil Science. Jeff’s career expands over 33 years in the cooperative system. This includes over 19 years of general management. Jeff has served on various ag related boards and joined the River Country Co-op team in January 2018. Experience: Heather graduated from the University of Minnesota, and began her career in retail while working for Target Corporation. After living in the greater Minneapolis/St. Paul region for over 10 years, Heather returned to the Chippewa Valley where she began working at Gordy’s Markets as a Manager of Human Resources. In 2013, she turned her focus to the sales side of the business, and became the Liquor/Beer Category Director. After seven years with Gordy’s, Heather decided to take on her role as VP of Convenience Stores at River Country Co-op where her responsibilities include increasing volume, profitability, and creating and maintaining a positive environment to work. Experience: Mike graduated from UW-Stevens Point in Soil Science and Natural Resources, and has been in the Cenex Co-op system for the last 30+ years. Previously Mike was general manager at the former Bloomer Farmers Union Co-op in Bloomer, WI where he held that position for 17 years. The majority of Bloomer Farmers Union sales came from energy sales and services which have given him a number of valuable years of experience working with the energy commodities market. With the previous merger with Bloomer Farmers Union and River Country Co-op in the spring of 2012, Mike joined the River Country Co-op team as the Energy Division Manager. Experience: Paul graduated from Illinois State University with an Agribusiness degree and a focus on marketing. 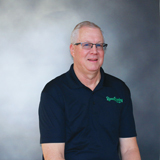 Previously Paul has worked at Cargill originating grain for an Illinois River terminal in Ottawa, Illinois, at Ag Services of Wisconsin as a merchandiser and also at Nidera where he ran an export terminal in the Port of Milwaukee. Paul joined the River Country Co-op team in June, 2017 as a senior grain merchandiser and is now the VP of Grain. He will oversee all of the storage, grain market and operations of the newly expanded Bloomer Grain facility. Anyone who purchases goods and services from River Country Co-op can become a member. All you have to do is fill out a credit application. If you want credit at that time we will set up a credit line for you also. Otherwise we just use the general information to set up your account so that you may receive dividends on your purchases. It’s simple, free, and allows you to receive money back on all of your purchases. This past year we returned 3% of your purchases back to you in cash and stock. Fill out an application to become a member (click here). For every purchase you make, the credit is calculated at the end of the fiscal year and you will receive a dividend check for cash and stock. The stock is retired at a later date. Currently, the company retires all stocks of patrons that are 70 and over. When you purchase items from us and pay with cash or a credit card, you still can receive dividends on these purchases. Just save all your receipts and bring them to the main office by September 1st of every year and we will credit these transactions to your accounts for proper credit. A stock check will be issued for these receipts when we pay out dividends. Generally this is in March of every year. River Country Co-op offers four annual memorial scholarships, in memory of our late presidents, Mr. Fred Swoboda and Mr. Joe Hawkins. All four scholarships are in the amount of $500. Please download the scholarship application using the link below. Submission deadline: May 3, 2019.